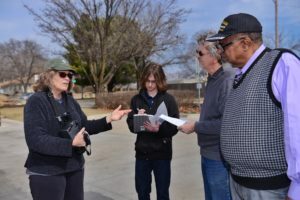 On Monday, February 27th, 2017, members of CleanAirNow met with officials from Earthworks to monitor air pollution in Kansas City. 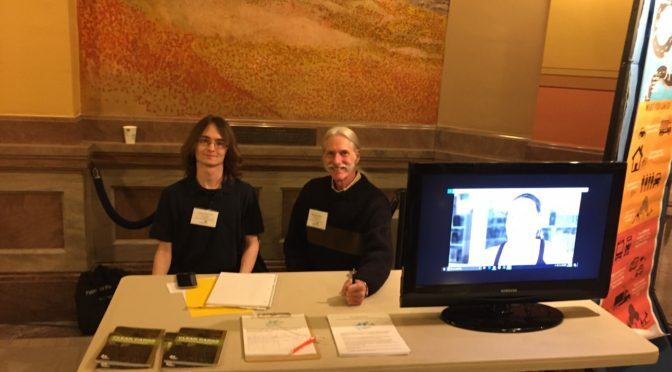 Eric Kirkendall, Daniel Beall-Hall, and Richard Mabion, President of the NAACP in KCK, represented CleanAirNow. 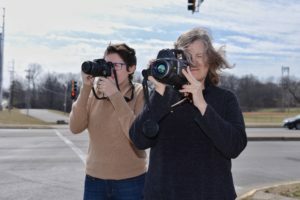 Hilary Lewis and Sharon Wilson represented Earthworks. Photographer Clifton Rendón‎ documented the team’s work in photographs, some of which are featured here. 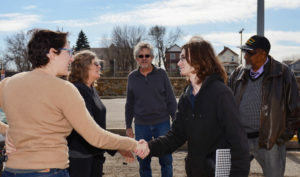 CleanAirNow is a partnership of community groups, educational, research, environmental, health, other organizations, and individual members dedicated to improving air quality. Earthworks staff are experts in use of the FLIR Gasfinder 320 Infrared Camera. It can detect around 20 airborne gases that might cause health problems. The camera overlays conventional video images with infrared images, and uses computer processing to make the gases visible. 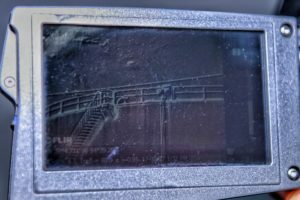 Gases that can be detected by the FLIR camera include 1-Pentene, Benzene, Butane, Ethane, Ethanol, Ethylbenzene, Ethylene, Heptane, Hexane, Isoprene, MEK, Methane, Methanol, MIBK, Octane, Pentane, Propane, Propylene, Toluene, and Xylene. Monitoring was done near public parks and areas where workers, children, seniors, and other residents are vulnerable to air pollution. 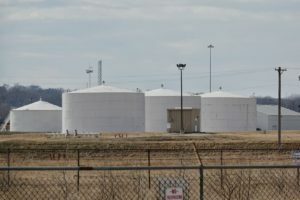 CleanAirNow members gained insight on which kinds of sites can be monitored for polluting emissions, such as tank farms. They were also informed about what weather conditions footage is best captured in – when the wind is low. 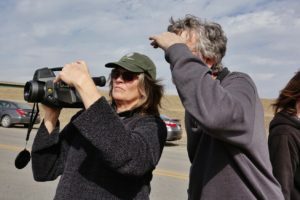 Although the wind was a challenge, the team successfully captured video of air pollution emissions from a BNSF fuel storage tank near the BNSF Argentine Railyard. Check out the video below, which shows gases being emitted at the top of the tank. Special thanks to Clifton Rendón‎ for his photos and the Earthworks team for working with us and sharing this video! 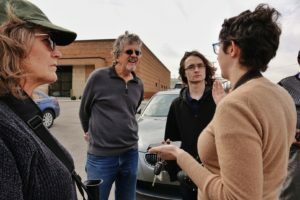 The CleanAirNow coalition held its first membership meeting on March 2. at the Community Health Coalition of Wyandotte County. After planning for over a year, we were happy to reach this point. Members from the Kansas City area and other cities attended the meeting in person, by phone, and by video conference. During the meeting, we reviewed and discussed the mission and goals of CleanAirNow, reviewed work now underway or planned, and discussed future initiatives. Work underway includes the analysis of lab results from recent air pollution monitoring in Kansas City, Kansas, and preparations for air pollution training, which begins soon. We also talked about the air pollution workshop we are planning to hold in a few months, and the potential of implementing the IVAN environmental reporting system in the KC region. As our last step, we voted for our representative to the national Moving Forward Network. Eric Kirkendall will be our representative for at least a few months, until we elect someone else from CleanAirNow.